Lake Compounce is the oldest, continuously-operating amusement park in North America, having its genesis more than 170 years ago in 1846! The park has had millions invested in rides and attractions during the recent years, and today is more beautiful than ever. 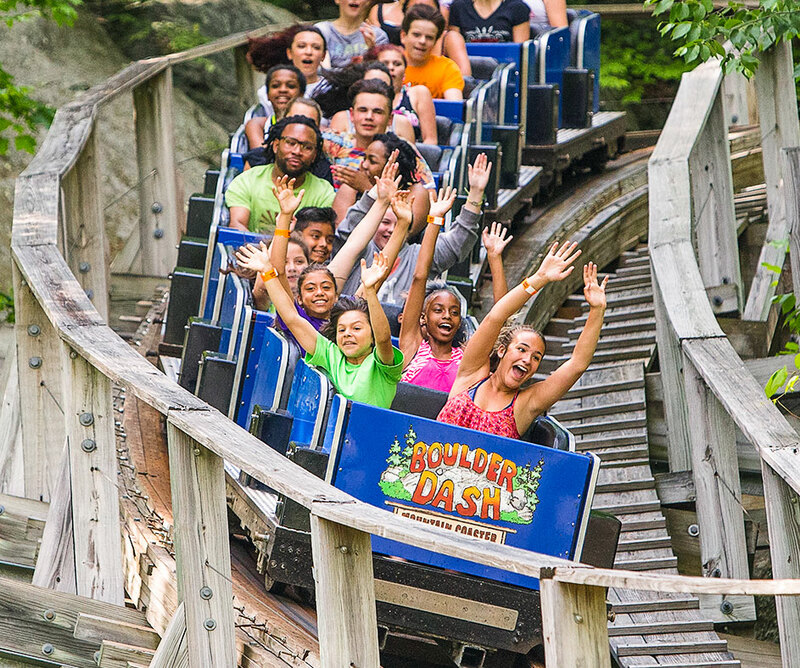 Among other famous attractions, Lake Compounce is home to Boulder Dash, which has been voted the world’s #1 wooden roller coaster, as well as Connecticut’s largest water park. At “The Lake,” there are more rides, attractions, dining options, and FUN than anyone can experience in just one day...whether you’re young or just young at heart. There is no doubt that Lake Compounce is one of the most fun places to visit in Connecticut! The name Lake Compounce is derived from John Compound, a Mattatuck/Tunxis Native American Chieftain. On December 2, 1684, his wife and several tribal members affixed their waxed fingertip "marks" to a deed that conveyed the "Compound's Lake" to a group of white settlers who had migrated to central Connecticut from Massachusetts. Legend has it that shortly thereafter, Chief Compound drowned in the lake while trying to cross it in a large brass kettle. On October 6, 1846, Samuel Botsford, an influential Bristol scientist, persuaded property owner Gad Norton, an original settler descendant, to let him conduct "a series of beautiful experiments in electricity." Well publicized, the event drew thousands of spectators who witnessed the demonstration amidst the beauty of the woods and water. Although the final experiment of "blowing up from shore, two huge jugs of gunpowder tied under a raft in the middle of the lake" failed, it did inspire Mr. Norton to action. He put a path around the lake, set up picnic tables, allowed public swimming and rowing on the lake and built a gazebo for lakeside band concerts. Lake Compounce had officially opened to the public as a picturesque "picnic" park. In 1847, the "Southern method" of cooking lamb was introduced by Lake Compounce to families, groups and organizations and the long and profitable tradition of summer barbecues began. The following year, a hand-powered revolving swing and Connecticut's first ten-pin bowling alley with adjoining pool tables became new attractions. In 1851, Isaac Pierce, a successful "California Gold Rush 49er," joined forces with Norton and the firm of Pierce and Norton was established. 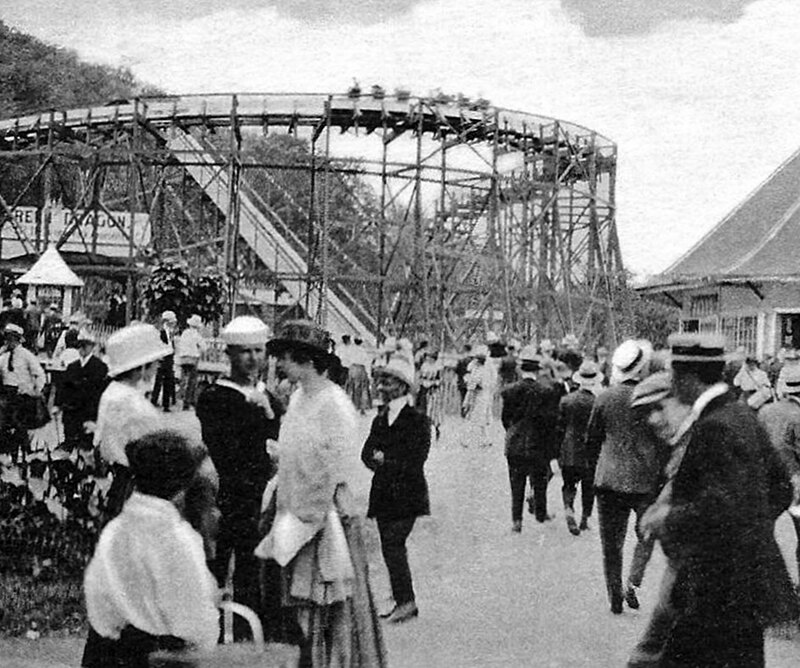 Lake Compounce prospered as a picnic park through the post-Civil War era. In 1873, the Bristol Press published its first notice of Lake Compounce with an article describing the property as a "a convenient and delightful little seaside of their own for the people of Bristol." In 1875, Norton and Pierce petitioned local legislators that their residences be "set off" from the town of Southington to the town of Bristol. A sheep roast was held in appreciation to those legislators and friends who helped secure the granting of that petition. In this quiet manner, the famed "Crocodile Club" was established and, in 2000, celebrated its 126th reunion. Around that time, Timothy Murphy of Savin Rock, Connecticut, began to assemble the Carousel. Combining the works of four master carvers and a Looff mechanism. Lake Compounce purchased it for $10,000 and opened to the public on Memorial Day, 1911. In 1914 the Green Dragon, Lake Compounce's first electric powered roller coaster, was opened to the public. It was later replaced by the "Wildcat," a wooden classic built in 1927 by the Philadelphia Toboggan Company. The "Wildcat" is still in operation. The first of three Chris Craft speedboats was purchased in May, 1929, for $2,800. At a cost of 15 cents for a thrilling ride around the lake, the boats paid for themselves by July. The 1930's brought more growth. The Casino ballroom was expanded to include an enormous dance floor without walls, so that people could dance "under the stars." Huge windowed walls and a high arched ceiling were added in 1937. On Easter Sunday, Glenn Gray and the Casa Loma Band opened the "Starlite Ballroom" to a full house of "big band" enthusiasts. Most big bands played Lake Compounce. From Dorsey to Calloway, Basie to Kenton, James to Goodman, the ballroom was packed for each performance. The all time attendance record of 5,000 dancers was set in spring, 1941, when Tommy Dorsey's reorganized band featured a young, up and coming vocalist, Frank Sinatra. In 1943, Lake Compounce purchased a miniature steam railroad designed and built by British actor William Gillette, portrayer of Sherlock Holmes. This enchanting train made its inaugural run the following year when more than 100,000 passengers rode on more than 35 tons of 17 gauge steel track that completely encircled the lake. Lake Compounce prospered during the 1940's and 50's as a very special picnic/amusement park. Local entertainers also appeared as a weekly attraction on the Lake Front Stage and featured such talent as Tex Pavel, Colonel Clown, and Slim Cox and the Cowboy Caravan. 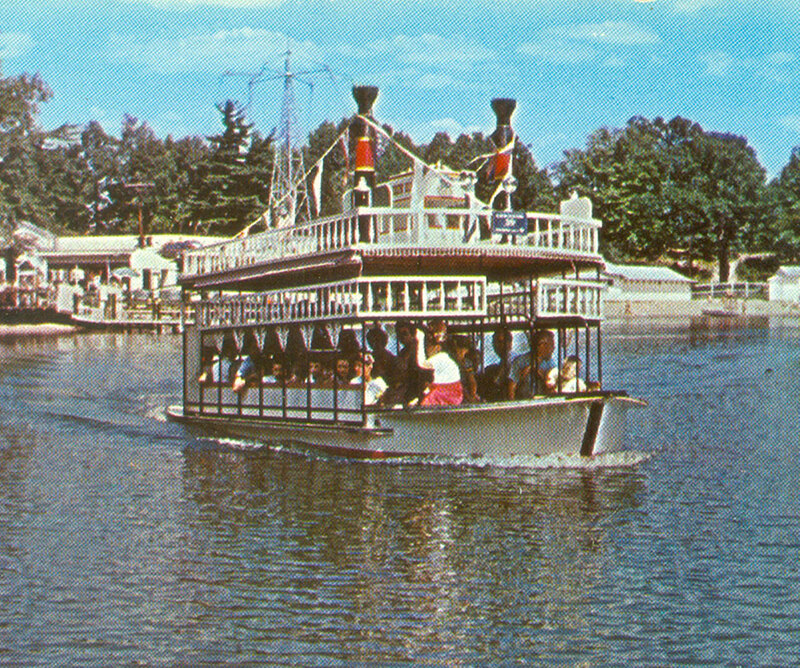 In 1957, the "Little Showboat" made its debut and took passengers on a leisurely "paddle" around the lake. In 1959, an 18-hole miniature golf course was added. In 1962, speedboats replaced the Chris Crafts. Their characteristic "rooster tails" doused riders and thrilled onlookers. Lake Compounce remained under the ownership of the Pierce and Norton Corporation until 1966, when Edward G. Pierce, Isaac's grandson, sold his interests to the Norton family. The Nortons continued to own and operate the park through 1985. At that time, the family reluctantly sold the park to The Hershey Corporation, which renamed the venue as Hershey Lake Compounce. Following two years of operation and investing millions of dollars, a corporate decision was made to sell the park and return to its roots in Pennsylvania. From 1986 through 1996, Lake Compounce experienced the "decade of the roller coaster." Financial troubles and empty promises from a string of four owners severely tarnished the park's image. During this decade, Lake Compounce had a checkered history including mountains of unpaid bills, a barrage of lawsuits and a string of unsuccessful turn around attempts. 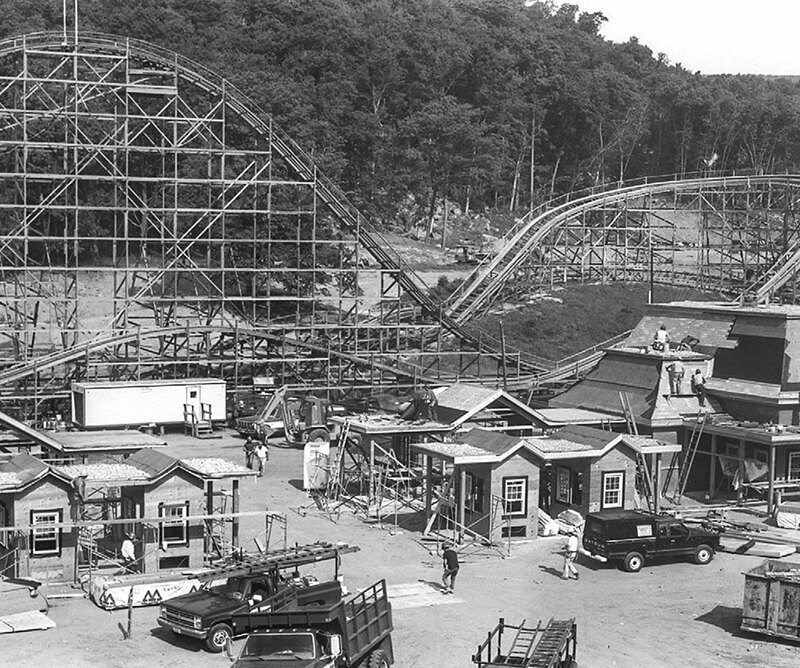 In addition, the park was affected by an inordinate amount of adverse publicity including raucous concerts, unpaid back taxes, the towns of Bristol and Southington threatening foreclosure and numerous abbreviated seasons when the park opened only for Labor Day weekend just to keep the streak alive as the oldest, continuously operated theme park in the entire country. There was also a prevailing sentiment that time had passed the park by, leaving it behind in a simpler era of Tommy Dorsey concerts and 1950's musicals. Steeped in tradition and filled with generations of summer memories, many New England and Connecticut theme parks suffered from neglect and then closed for good. When Rhode Island's Rocky Point, the nation's second-oldest park, served its final clam cake and auctioned its rides in the mid 1990's, it seemed to be one of the final nails in the coffin for the region's moribund amusement park industry. Moreover, most small, family-owned parks had disappeared in recent years since they did not have the capital to continue operating. They have gone the same way as mom-and-pop grocery stores. In April 1996, The Kennywood Entertainment Company, a family-owned company that operated three parks in western Pennsylvania, became the new managing partner of Lake Compounce. 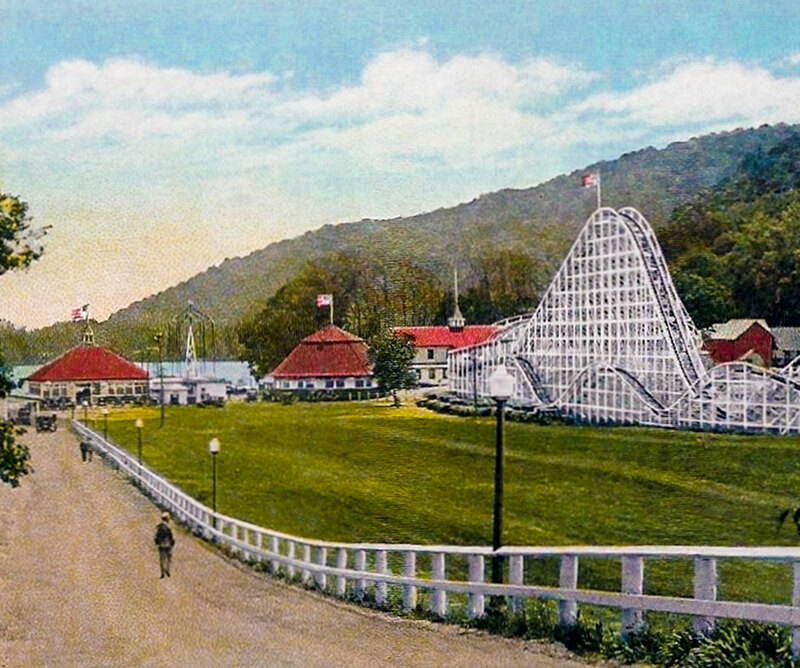 Traditional parks were a big part of Kennywood's heritage. Kennywood Entertainment CEO Harry Henninger's grandfather purchased Kennywood Amusement Park, just outside Pittsburgh, in 1906. What made the Lake Compounce opportunity tempting was the financial incentive offered by the state of Connecticut in the form of an $18 million loan. The agreement to partner with the state was predicated on a promise by the new owners to invest $17 million of their own resources. Back taxes of $1.5 million to the towns of Bristol and Southington were immediately paid off. Next, Kennywood recruited one of its veterans to serve as General Manager and tapped another industry veteran to oversee the marketing of the park. Another key factor was to find the right balance between the older, more traditional aspects of the park with the new-age attractions that people now expect. For example, a state-of-the-art roller coaster along with a white water raft ride and other thrill rides were added to the park's line-up to complement the vintage 1927 roller coaster, the 1911 carousel, and an antique trolley. From 1997 through 2008, another $20 million was spent to rejuvenate the park and restore its luster. In total, nearly $50 million had been invested in new rides, attractions, and physical improvements. The Kennywood vision of what Lake Compounce could be, the company's financial resources, and Kennywood's knowledge of the industry coupled with the state's involvement were the primary ingredients for success. Moreover, the image of the park began to improve when the company did what it said it would do. 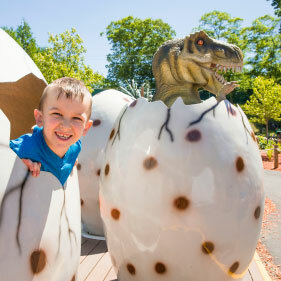 The park's transformation has tastefully integrated its natural beauty and rich heritage with a blend of classical and contemporary rides, live shows, and unique attractions. In 2009, Lake Compounce was acquired by Palace Entertainment, along with the other previous Kennywood Entertainment parks. Palace Entertainment is the country's largest operator some of the top theme parks, water parks and family entertainment centers, featuring 40 parks entertaining 14 million visitors per year. It is part of the Parques Reunites worldwide family of parks. A steadfast commitment to maintaining a top-notch family entertainment venue, as well as to providing superior guest service, remains stronger than ever. 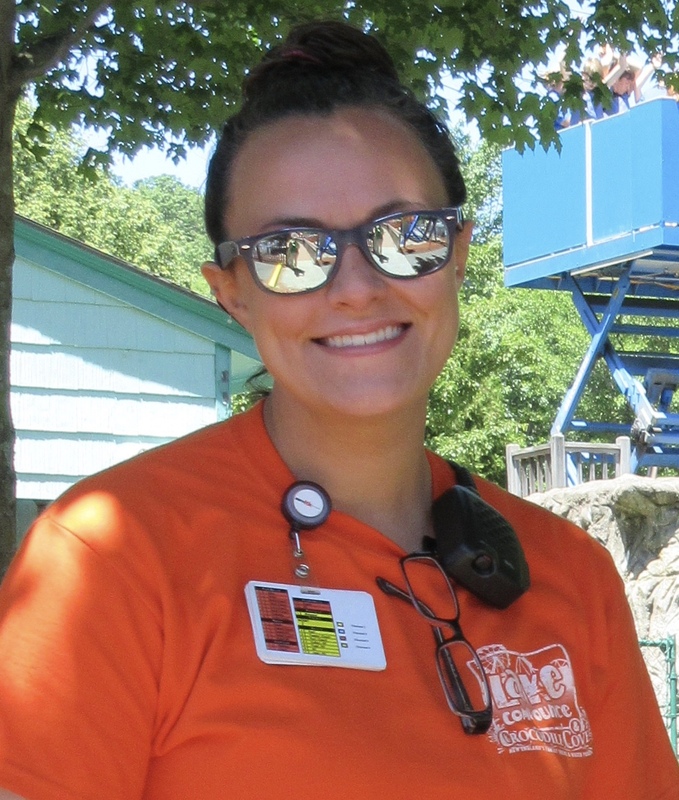 A balance of change and tradition continue to be important for Lake Compounce, the nation's oldest, continuously-operating amusement park. Today, Lake Compounce is one of the best places to go with kids in Bristol, CT for unforgettable fun and long-lasting memories.